Christopher was born in Halton in 1982. He was given his first guitar at the age of four. From the age of ten until he was thirteen, Christopher lived in Belgium. Here he studied with American guitarist John Dunn of the Mons Conservatoire. After returning to England, Christopher began lessons with Andrew Barrett as an external student at Wells Cathedral School. During this time he won the prize for the most outstanding music performance at the Highbridge festival of music and drama. In 1997 at the age of fifteen he gave his first full solo recital at Bridgwater Arts Centre. The following year he won a DfEE scholarship to study at Wells Cathedral School full time. He also reached the semi-finals of the BBC Young Musicians 2000 competition. In 2000, Christopher became a student at the Royal College of Music where he studied with Carlos Bonell. He performed in many concerts and masterclasses and collaborated on many occasions with other musicians including duo work with flute, voice, violin, organ and cello. He performed around the UK and in Jersey with flautist Laura Smith. He also gave the premiere in Alba, Italy of a new work for guitar and strings by acclaimed film composer Gabriele Roberto. He was invited to perform in an evening concert with a small selection of students from the London music colleges for Whitstable Music Club. Since leaving college Christopher has performed many varied concerts. He has performed solo and in various ensembles. In addition to the more usual duo repertoire, Christopher's recent ensemble work has also included performing the Sexteto Mistico (for flute, oboe, harp, saxophone, celesta and guitar) by Villa-Lobos in a concert at the Royal Academy of Music in February 2005, and several performances and two recordings with the group tonic fold (string octet, guitar, piano, bass, drums, vocals). He also performs in duo with flamenco guitarist Francisco Antonio. 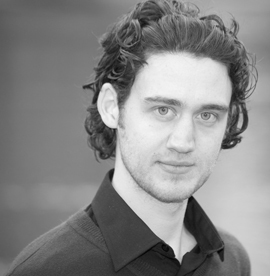 The main part of Christopher's performance is as a solo recitalist and as concerto soloist with orchestra. 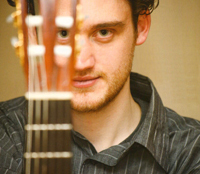 He has performed many solo recitals in London and around the UK at venues such as The Warehouse Theatre in Ilminster in 2005, Chichester Cathedral and Ealing guitar society in 2006. He also performed a solo recital in Stuttgart, Germany two years ago, and returned to perform again in November 2007 giving a solo evening recital in Stuttgart and another in Mainz. Christopher has also given several performances with orchestras in London. He has performed Rodrigo's Concierto de Aranjuez many times with various orchestras around the UK. He has also performed concertos by Vivaldi and Weiss. In May 2009, Christopher gave a series of solo concerts on board the cruise ship the ‘Balmoral’. His first solo CD was released in August 2009.